This tour of Kashmir is a relaxing vacation experience. Kashmir an exquisite destination, that is famous world over for its stunning natural beauty, which has left its impression to nature lovers for centuries. Stay aboard a luxury Houseboat .Enjoy a holiday of a lifetime, adventure and romantic experience. Your Kashmir tour begins with a flight to Srinagar, the summer capital of the state. 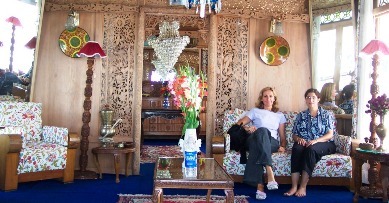 Upon arrival you will be met by our area manager and escorted to deluxe houseboats. Afternoon at leisure. this afternoon you will visit enchanted Mogul gardens of Nishat 'garden of bliss' situated on the banks of the Dal Lake, with the Zabarwan Mountains as its backdrop, commands a magnificent view of the lake and the snowcapped Pir Panjal mountain range which stands far away to the west of the valley was built by Mogul Emperor Jahangir, who was the father of the builder of Taj Mahal and Shalimar “ the garden of pleasure built by Emperor Jehangir for his wife Nur Jehan, is a beautiful garden with sweeping vistas, lakes, and shallow terraces. The garden has four terraces, rising one above the other. A canal lined with polished marble and supplied with water from Harwan runs through the middle of the garden. The fourth terrace, by far the best, was once reserved for royal ladies. Dinner at your houseboat. after breakfast, we'll depart for a full day tour of Pahalagam, another premier mountain resort in Kashmir, with its pointed peaks and green pastures. En-route stops will include a visit to 11th. Century Temple and Palace of ancient capital of Kashmir at AWANTI PURA, MATAN a temple town with ponds of holly fish which are fed by visitors and worshipers. These holy fish are not for consumption. As you approach Pahalgam, you are greeted by lush valleys and Rolling Meadows cascading streams offering panoramic views. Pahalgam is a base for various Himalayan trekking routes for beginners and for experienced trekkers to many Trans-Himalayan expeditions. 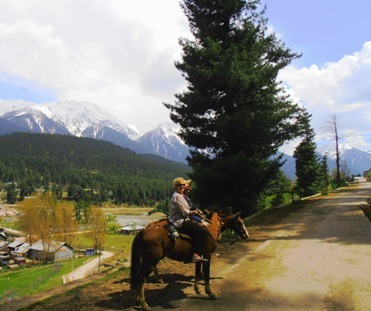 Within a close proximity by horseback ride or walking are the meadow of Baisaran, surrounded by thickly wooded forests of pine. Hajan, on the way to Chandanwari, is an idyllic spot for a picnic. This evening Return to your cozy houseboat. Today take a leisurely tour of old city thru a network of alley ways and exotic bazaars to soak in the local flavor. Your Kashmir travel experience is also a unique culinary adventure. This evening enjoy a Wazwan feast (Local multi course meal usually served on weddings or very special occasions). After breakfast transfer to airport for flight to Delhi.